When it comes to gaming audio, you know for sure that the name Turtle Beach has been right there from the early days when sound cards were considered to be a luxury on your computer, and many folks (such as yours truly) who lacked the kind of monetary resources would just have to make do with the standard PC speaker which frankly, had a far less vocal range compared to even R2-D2. Well, Turtle Beach does seem to be still around these days, and no longer are they producing sound cards for computers, but rather, still being involved in the audio arena. 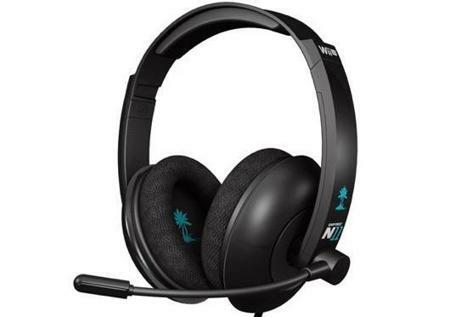 The Nintendo Wii U, a next generation console from Nintendo, has yet to be introduced, but Turtle Beach has already announced their officially licensed headsets, the Ear Force NLa and Ear Force N11. Unlike your Nokia handsets, however, these will not come in a bunch of merry colors. Instead, they will be available in both black and white shades only, presumably to go along with what the Wii U will be launched in. The Ear Force NLa is the ideal headset for Nintendo gamers who want high-fidelity audio and superior comfort, where it merges high-fidelity stereo game audio and crystal-clear communication in a sleek, lightweight and durable design. Other features include in-line volume control and noise-isolating ear cushions, while those who tend to be on-the-go will find that the NLa’s 4-pole connector can be easily disconnected from the Wii U GamePad and hook up to portable devices such as the Nintendo 3DS and Nintendo DS in a jiffy. The Ear Force NLa and Ear Force N11 will retail for $34.95 and $49.95, respectively, as they arrive in the market later in the fourth quarter of this year.